It’s been so long! I’m hopeful that I can get back to blogging because I miss the community aspect of it. I’ve been so swamped I have no idea what people are up to these days. I’ve got a show tomorrow and I’ve been sick the last 2 weeks. I did 3 shows in that time and while they were very well received, I ran on empty for far too long and blew all my reserves. Between the steroids and the zpak, I’m in a funk. What to do??? CHOOSE HAPPINESS! Make the effort!!! I already feel like doodoo, why make it worse by being miserable? Misery and fear will get me, and has gotten me nowhere! During this time I’d wake up, freaked out and try to get into a head space of acceptance. But it rarely lasted. 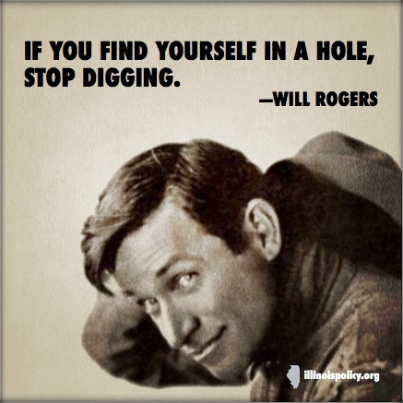 They say that when you’re in a hole, stopping digging! It’s an illusion that I can dig my way out of this mess and the sooner I stop struggling, the better off I’ll be. There’s nature and then human nature. Both provide life lessons. I find this lesson in nature to be spot on for my current situation! What If I Go Down? a) If you are sliding toward a tree well or a deep snow bank, do everything you can to avoid going down: grab branches, hug the tree, or anything to stay above the surface. b) If you go down, resist the urge to struggle violently. The more you struggle, the more snow will fall into the well from the branches and area around the well and compact around you. c) Instead of panicking, try first to make a breathing space around your face. Then move your body carefully in a rocking manner to hollow out the snow and give you space and air. If I sound like a drama queen, I apologize. I’ve given up everything (that most would cling to and be grateful for) in order to sing again. (Including having the time to write in my blog.) I love it like mad! I used to confuse stress with diligence. That if I wasn’t sufficiently stressed, I probably wasn’t being diligent. In fact, mellow people used to just piss me off! I usually assumed they were lazy, apathetic or ignorant. RIDICULOUS! If you read my blog, you know that I’ve come to believe that everything happens for a reason and that behind every negative, is an equal or greater positive waiting to be revealed. I can’t wait to see what it is in this case. Perhaps it will be something as simple as learning to overcome obstacles by being grateful. I have SO MUCH to be grateful for! Not the least of which is, the fact that you are actually reading this blog post. THANK YOU!!! I am blessed with an amazing, funny, kind, clever, talented son. My sweet Mike is still a huge part of my life, and has been my rock, my angel and partner through this entire journey. (None of this would be possible without his kindness, support, generosity and vision. To be clear, we are great friends. He has a girlfriend. ) My wonderful friend, Joe, (singer, pianist and composer) I’ve known since 1979. He has surprised me twice now, by being in the audience at my last two shows. Then there’s Bobby, my pianist. That’s just the tip of the iceberg in terms of blessings. So wish me luck! I’m writing this while in an Epsom salt bath. (Any port in a storm.) I’ve barely spoken a word or sang a note in the last 2 days. No idea what will come out. I’m going to take it slow and stop struggling and see what happens. Bottom line? I intend to smile through it all, if only to laugh at my own folly. Much like the fabled story of the mother who lifts a fallen refridgerator off her child out of sheer love and adrenaline, the love of music and singing will surely pull.me through it! Thanks so much for reading this post! I really want to get caught up on blogging and my fellow bloggers. They make me laugh, they inspire, entertain and often provoje new thoughts. I’ve been designing programs, making costumes, rehearsing, marketing, doing shows etc. Strictly a do it yourself operation. If it turns out that this piece actually get read, I’ll be back with more. Did I mention I’ve turned into something of an eating machine on steroids? Ya. Gotta tackle that next! !! POSTMORTEM: I ended up having to cancel because, even on steroids, I couldn’t speak without coughing, let alone sing! I don’t recall a time when I’d ever been so sick. The kicker is, it caused a rift with the producer. I went on to do my final contracted show. But the fact that I was coughing my brains out when I called to cancel and they said “Why are you cancelling?” really upset me. It took three months, 3 courses of antibiotics (including the one used to treat anthrax) and steroids to begin to get back to normal. I did the Judy Garland Tribute show, in spite of not being 100% and it was well received. But the relationship never recovered. Previous Previous post: UNBRIDLED BIRTHDAY JOY! !